Vincenzo Zaccagnino, cast off for the last time on June 10 last. Vincenzo Zaccagnino personally wrote the history of nautical journalism in Italy. He taught nautical journalism to a couple of generations of his colleagues. We were great friends even though as we had been sailing different waters these last few years, we didn’t call each other much anymore. In reality, we only met for work and a few jokey dinners, both of us disenchanted dreamers churning out enough ideas for the next seven-eight lifetimes. Except that Vincenzo was a terribly practical man and, after a while, you’d see one of those chats or other turn into a project, a magazine, a column, an investigation, an advertising scoop to bring new resources to his magazines. Ingenious! One day he asked me to talk about “my way of seeing the sea” in Yacht Capital. “It doesn’t pay well but you’ll have fun,” he told me. “Not well paid…well, what’s new? Eh, Zac?” I answered. My room aboard Yacht Capital started out as a bit of fun, a way of venting my mostly desk-bound seafaring passion on paper. But it eventually also led to three books. And in the end to my heading “Fare vela”, before all that was sacrificed to write “Terroni” and other books. That’s just an example of how, even as he laughed and ate, Zac changed the course of people’s lives. Some didn’t like his preponderance in the big nautical circus, but that is the fate of all great men, all pioneers: the mutterings of the mediocre and rebellious children (professionally-speaking) who, once they have learned the ropes, start setting their own course. But Vincenzo knew his worth and he knew how to, unshowily, get recognition for his ability to see the value in others and foster it without fearing the shadows. Of course, his shadow would have always been bigger. In all senses. So, ciao Zac, may the wind be behind you. And a hug to your fraternal twin sons, Matteo and Pietro….. 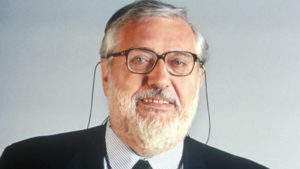 The 84-year-old was the doyen of Italian nautical journalism, the founder and editor of many magazines, a writer, and contributor to La Stampa. We called him only a couple of weeks back to ask him for a piece on the cruise market as he was perhaps the first person in Italy to grasp the rise of the sector. “I’ve broken my femur and I’m in hospital. So I’m very sorry but I can’t do it. They tell me I’ll be like this for a month. But we’ll definitely talk after that.” We didn’t hear from him again and we won’t now: 84 year old Vincenzo Zaccagnino passed away the other night in Rome. He was the doyen of Italian nautical journalism. 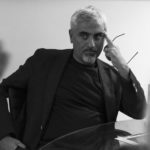 He founded and headed several magazines from Nautica to Mare, from Mondo Sommerso to Mondo Barca, and then Yacht Capital and its satellites (Yacht Design, Yacht Digest, Yachtsman, Crociere, Traghetti), in which he and his son Matteo combined the technical with glamour, passion with people. Yacht Capital was, of course, a magazine that was not aimed solely at those in the sector. It was also bilingual (English) and could be found in many airports and strategic locations across the globe. Vincenzo was genuinely passionate about the sea. Boats, ships, objects, history, traditions. 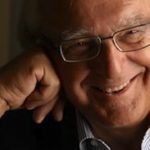 He poured that curiosity and knowledge into his books (his final one, “Paper Boats: a Journalist’s Long Course through the Stories, Challenges and Personalities of the International Nautical Scene” now feels like a leave-taking of sorts) and his articles which appeared in several daily newspapers, not least La Stampa. Vincenzo was also perhaps a man of a different era. He sent handwritten greetings on custom-made cards at Christmas featuring himself as characters from maritime history, striking majestic or pirate-like poses. Because he knew how to take the mickey out of himself and pass suave, ironic comment on a world that he actually liked and felt part of deep down. He came from a seafaring family from the island of Lussino. He was a man of a different time in his ways and education, in his love of depth and study, in the elegance of his signature blazer – a difficult thing to pull off for a man of his girth. For his love of talking about boats, regattas, ships. But what that really means is that he will continue to sail on.